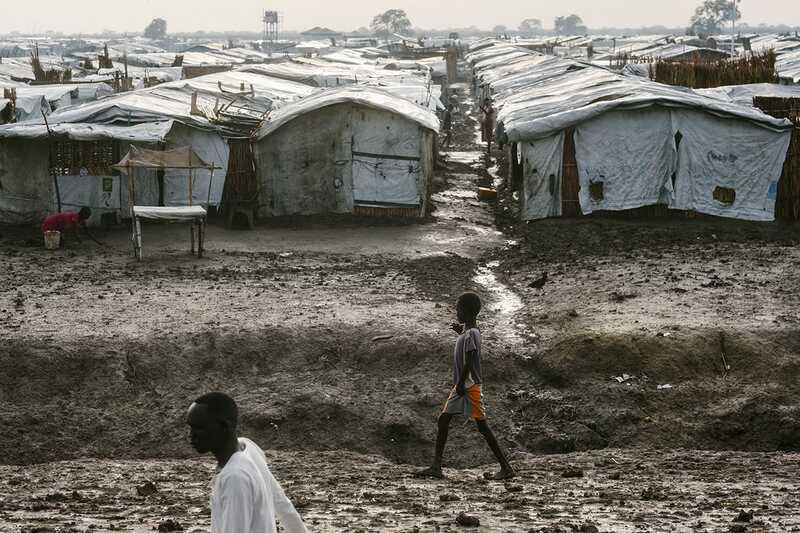 Camp of Bentiu, where more than 130,000 displaced have been living for 4 years, making it the second largest population centre in the country, after Juba. 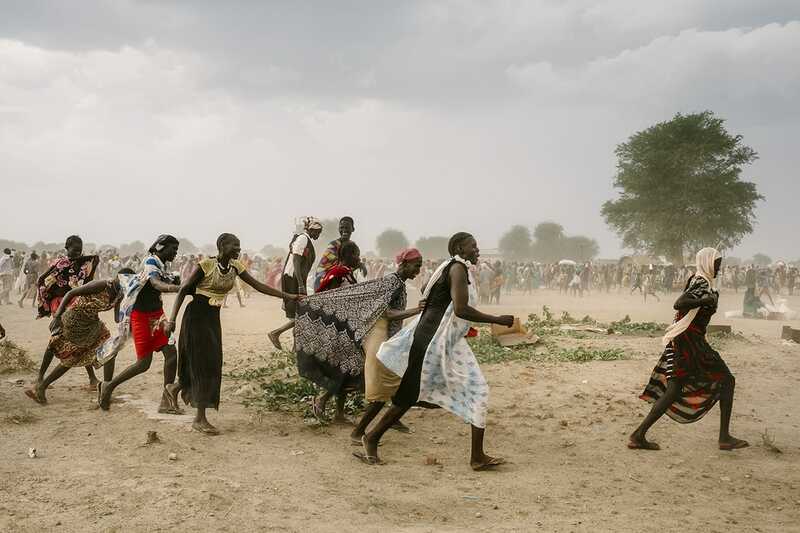 Currently, it’s chaos in South Sudan. There’s a permanent tension, largely caused by the political conflict between the President and the former Vice-President who come from two different ethnic groups. Violence has displaced many to areas where people are already poor and have few resources to share. 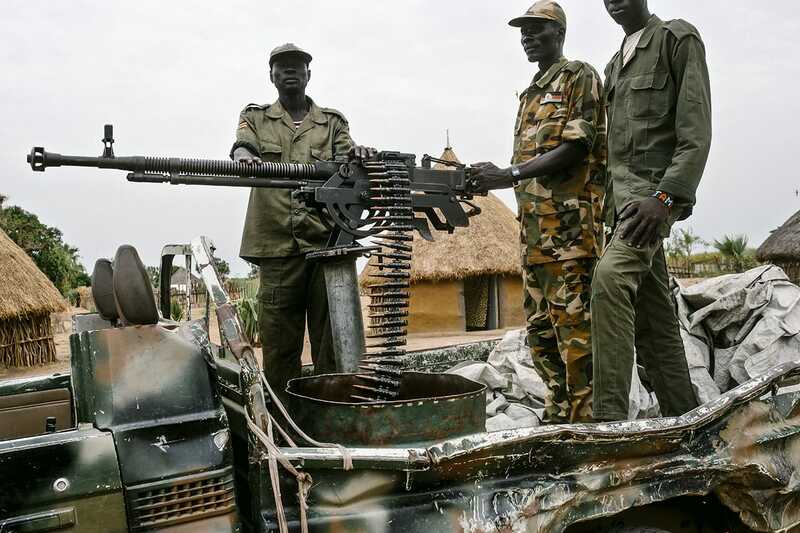 At the same time, several armed groups are taking advantage of the instability to seize power in some regions. As a result, divisions have multiplied. Of course, in order to put an end to the civil war, a solution must be found to the hostility between politicians. But it will not solve all the problems on the ground. It will take time for the country to recover. Young people have grown up in a context of violence, civilian populations are living with heavy trauma, the education system is non-existent, and so on. My photographic work is far from being able to explain the situation in great detail or offer an in-depth analysis. That’s not the goal. Since there is little media out there, my intention was to show how outrageous the conditions of life in South Sudan are. 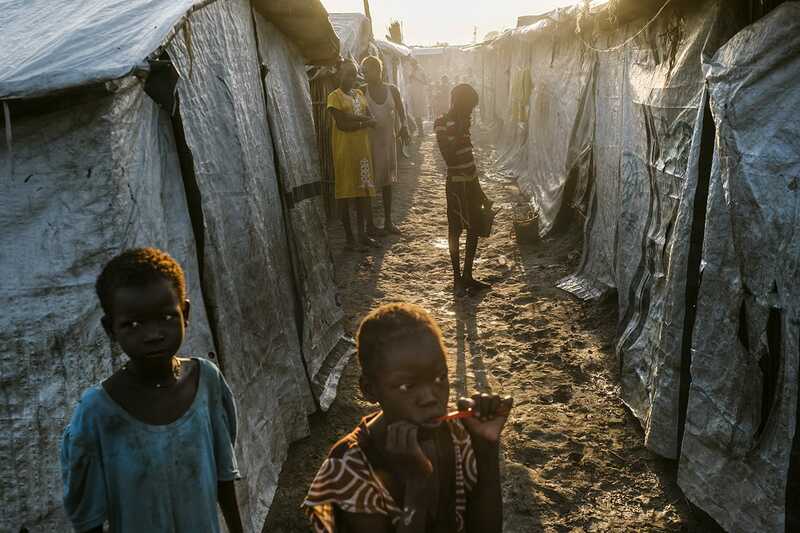 The Bentiu refugee camp, for example, is now the second largest city in the country. Designed to accommodate 60,000 people, it hosts twice as many. That gives an idea of ​​the magnitude of the situation. Another example is the Nyal region, which is controlled by the rebels, and where several civilians are hiding. Since it’s mostly marshes dotted with small islands, people feel safer. The armed forces cannot move quickly through them. But it also means that humanitarian aid is difficult to deliver. There is almost no food distribution. Refugees are left to their own fate. The chief of a small community and a displaced man, recently welcome by this community, during a discussion with the NGO Oxfam. Aerial view of Mayom’s surroundings. Soldiers of Nyal’s opposition. Ever since the war erupted in December 2013, all factions have committed horrors against civilians, practicing the scorched earth policy. 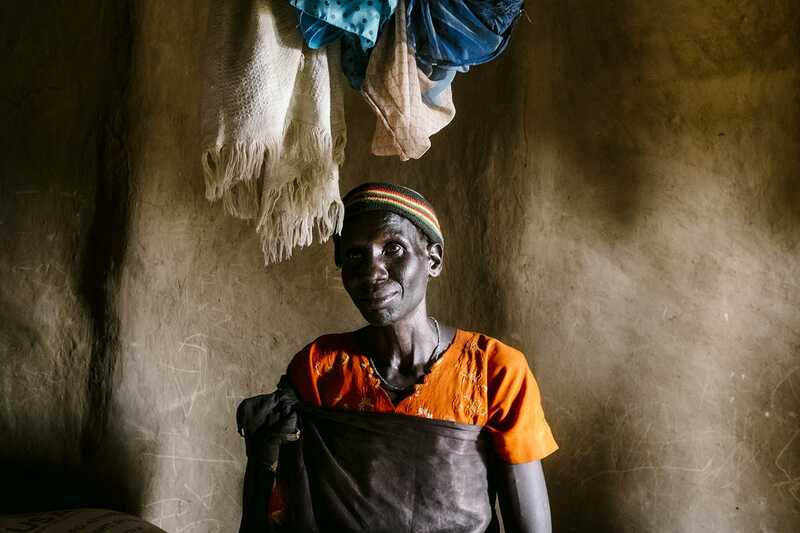 “When we left, we put all our belongings, even our children, in a large plastic tarp that we carried in wetlands for days.” Just arrived in the swamps around Nyal, this woman hasn’t yet been registered by the World Food Program (WFP). Her family eats water lilies which become increasingly hard to find. All over the country roads, traces of fighting remind that the conflict is still active. Civilians are taken hostage, either by violence or hunger. At least half of the budget of the country, rich in oil, is dedicated to buying weapons, according to a UN report. Living and growing among the displaced. Beyond the barbed wire it’s insecurity. 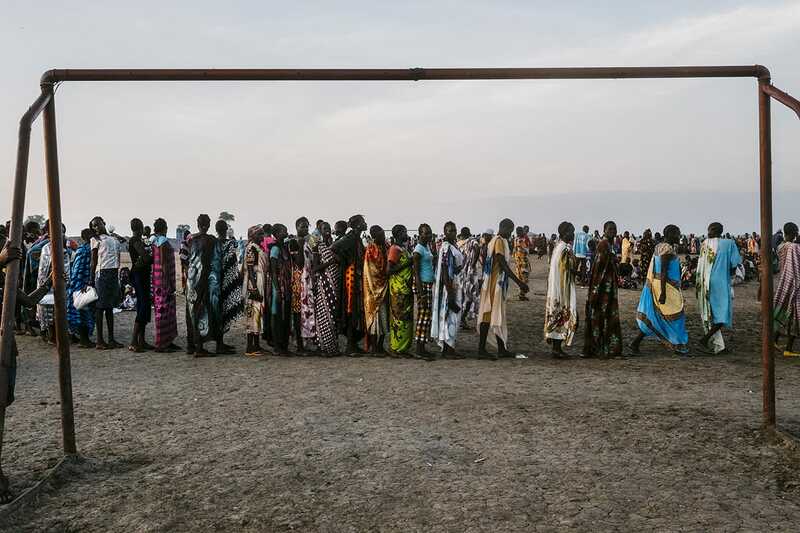 The camp of Bentiu is guarded by peacekeepers from the mission UNMISS, but women must come out of the camp to find fuel. Nyal. South Sudan. Tap, Jiaca and Deng, moved to Nyal in March of this year. They all fled the fighting that took place in their village, Mayiandit. Since then, they’re waiting under a tarp in a place where the Nyal community allowed them to stay. 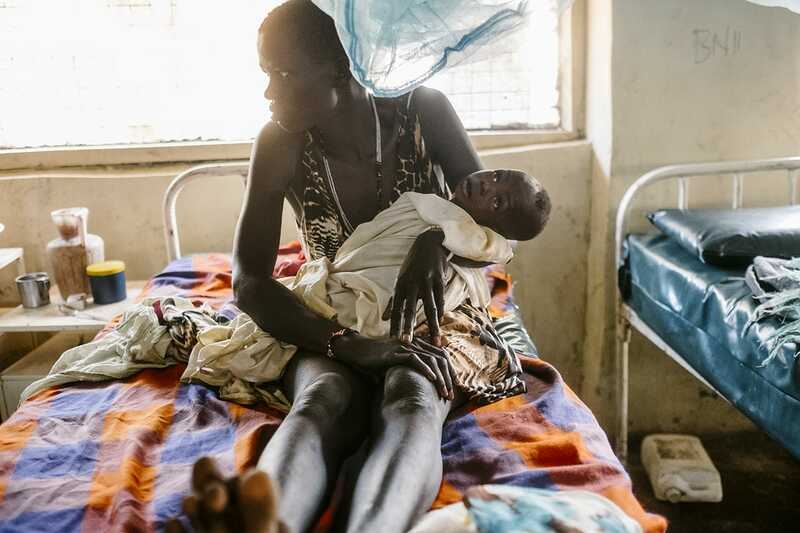 A woman and her son, suffering severe malnutrition in a clinic created to combat malnutrition. Food distribution by the NGO CARE for 23,000 people displaced by the conflict. 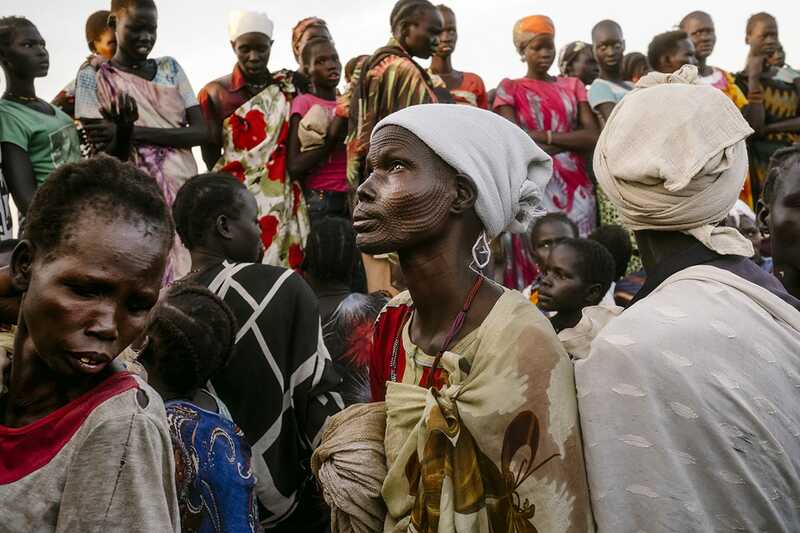 Under a merciless sun, women displaced by the conflict fill their cans. All day, the activity around the only point of water near Mankien (North of the country) knows no respite. 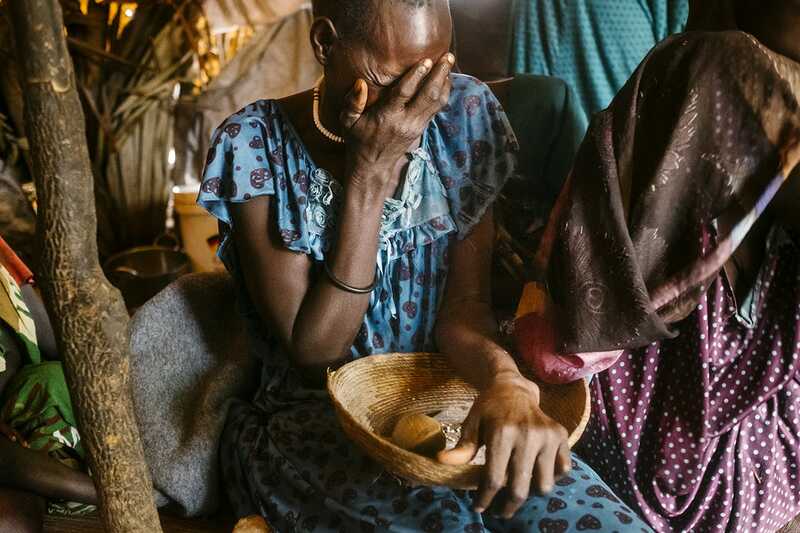 A woman displaced by the conflict sits on rations of the World Food Program (WFP). 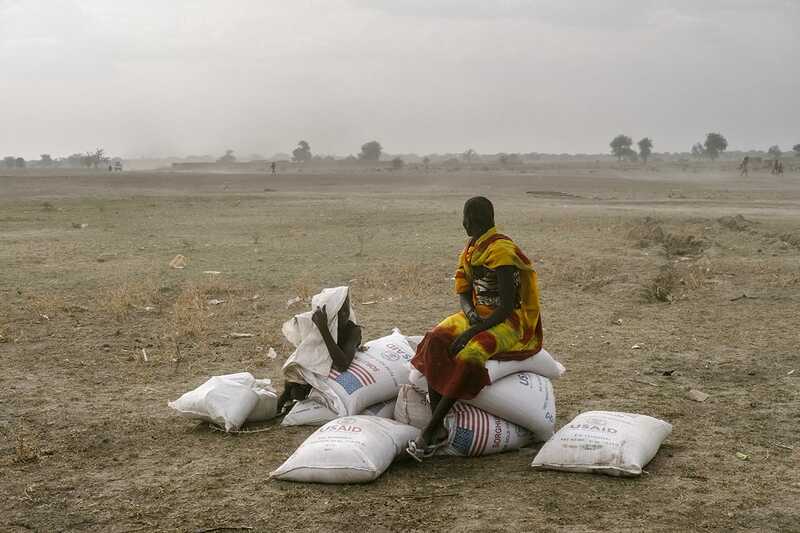 Her bags of sorghum, which she will share with six families, will not last more than 10 days. Despite the distribution of food by CARE to 22,000 people in three days, the needs remain acute. Maria Nyawaiy has left Leer, where her husband was killed in intense fighting three months ago. With her five children, she walked and canoed in swamps for five days before finding an island refuge, near Nyal. A bandage on her neck hides a bullet wound which has not healed since 2013. I remain convinced that photography has enormous humanistic power. An image that reveals reality in a sensitive way can affect the audience and generate reactions. But to do so, it is necessary that these photos be seen. The editors of many newsrooms, by their own admission, are indifferent to the subject. Why? I have no idea. As far as I’m concerned, it seems to me natural to want to reveal the disparities that exist in the world and to try to remedy them. Since its creation, the young country of South Sudan has seen two main factions fighting for power. Unfortunately, they have succeeded in giving this conflict an ethnic character, even if their main aim is to control the fate of the territory and impose their personal agenda. 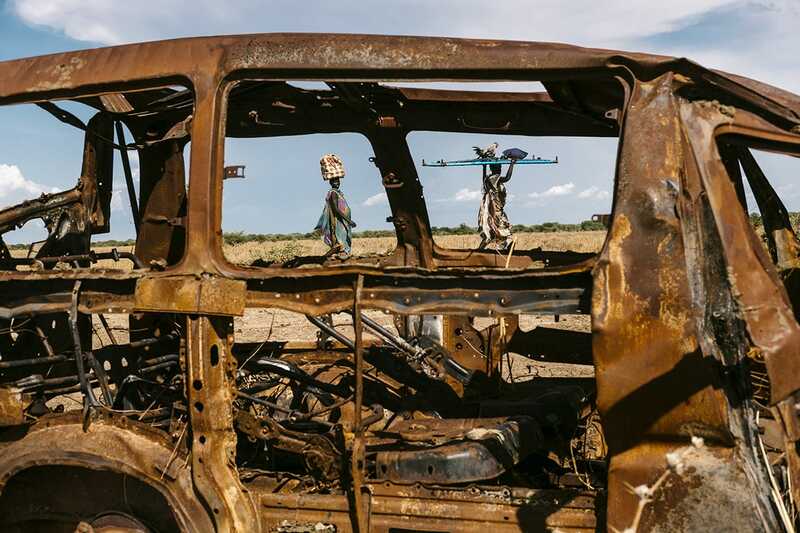 Beyond the violence, there is a drought aggravates the situation. 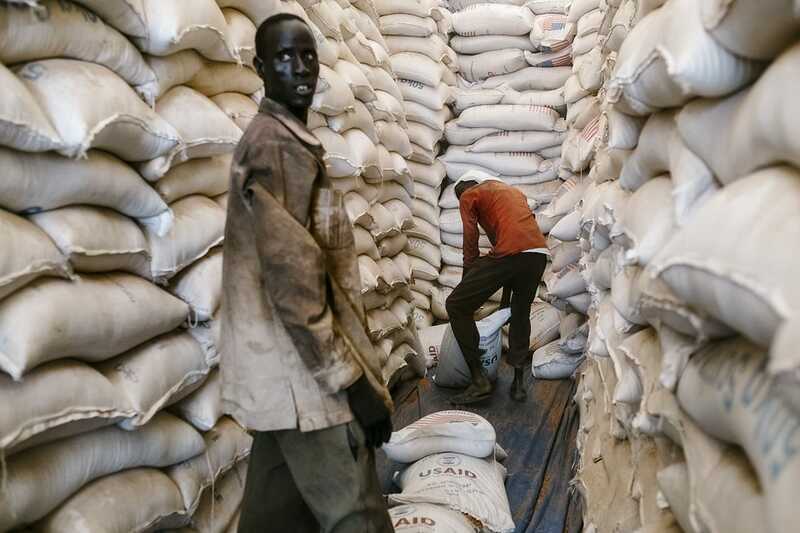 Out of a country of 12 million, there are more than 7 million people suffering from food insecurity, at least 2 million refugees outside the country, mostly in Uganda, and almost as many are internally displaced. The majority of those affected, over 85 percent, are women and children. From a humanitarian standpoint, we are all connected by our humanity, so when there is a part of our family that suffers, we all have a responsibility to react. But, of course, it is difficult to feel accountable when it comes to a complex story happening far from home. 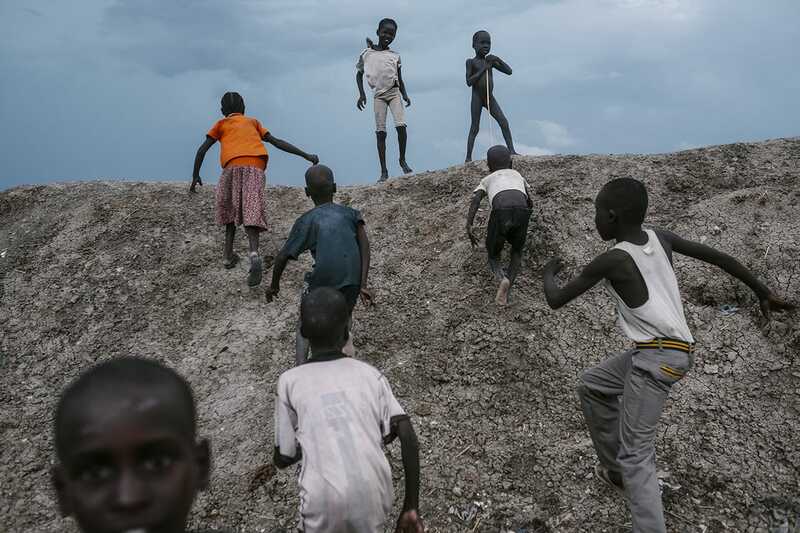 Canada, as a country that benefits for a vast array of resources, stable incomes and security, has a responsibility towards other states, especially a young one like South Sudan. Not to mention that when such crises are allowed to escalate, they eventually affect us in one way or another. 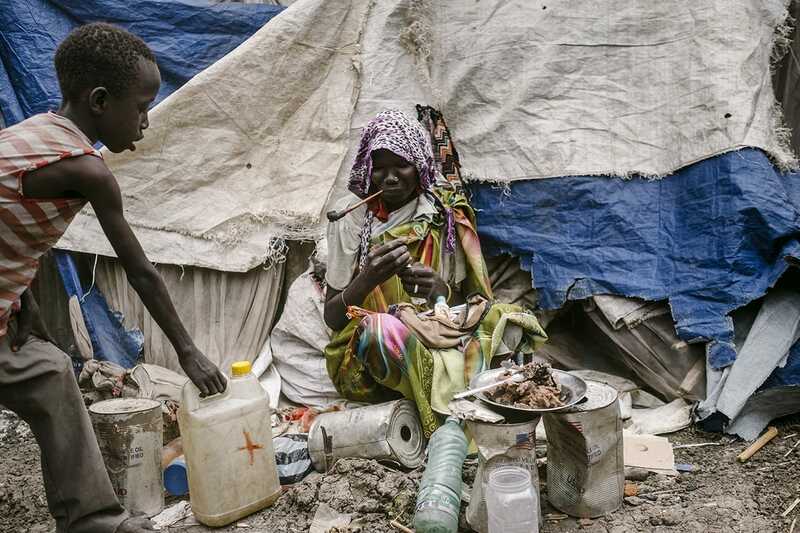 Life in the camp for displaced people of Bentiu. 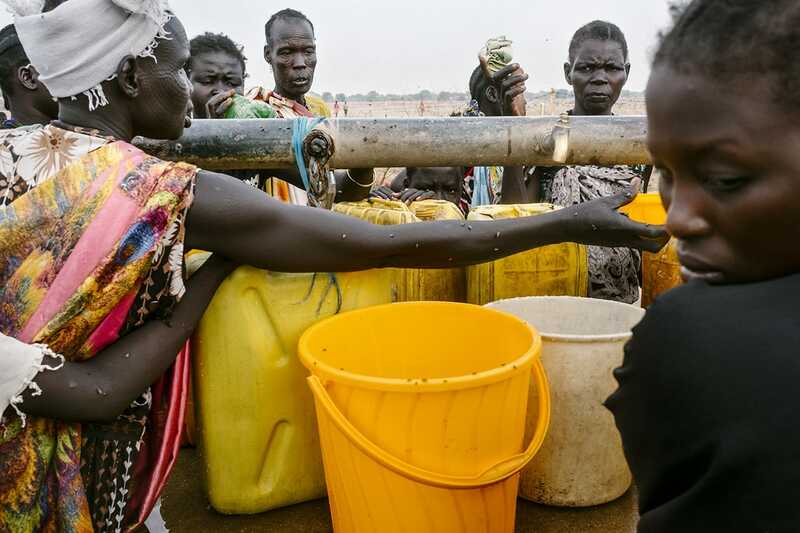 A child brings water to a lonely woman, recently arrived at the camp of Bentiu. The rain is preceded by violent squalls. We all run to the shelters. 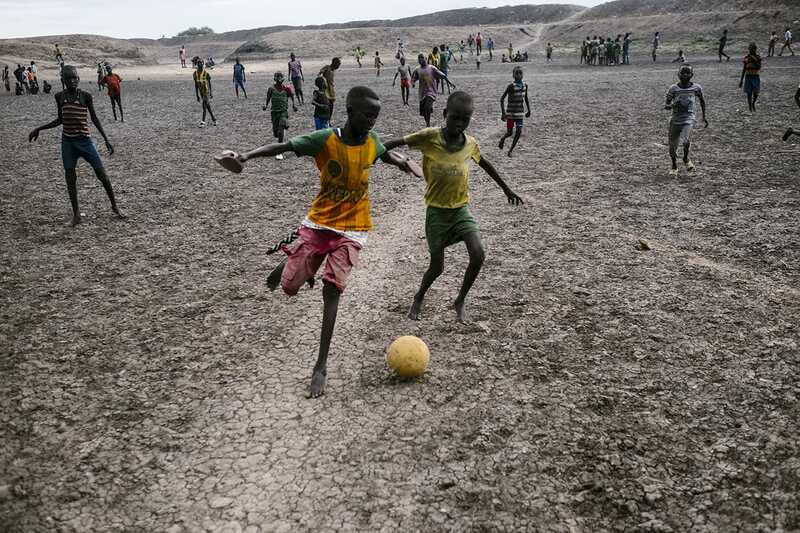 Children playing soccer on a makeshift field in the camp of Bentiu. 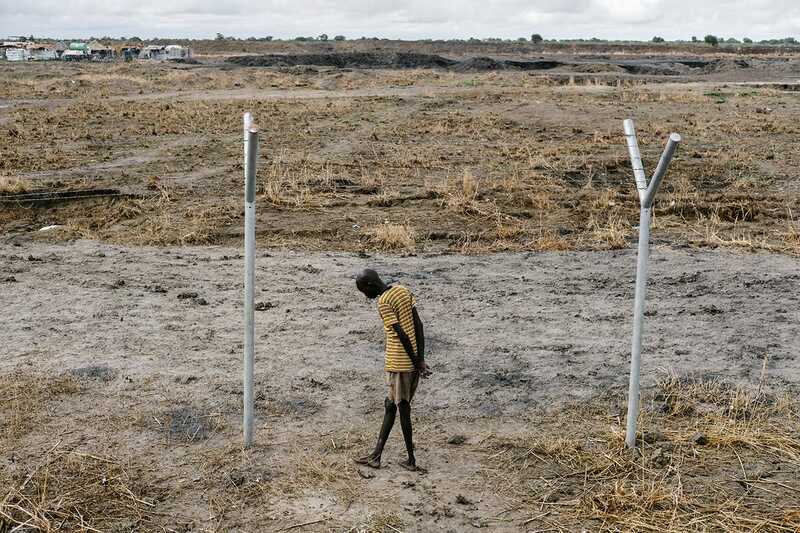 Protective camp of Bentiu for civils. 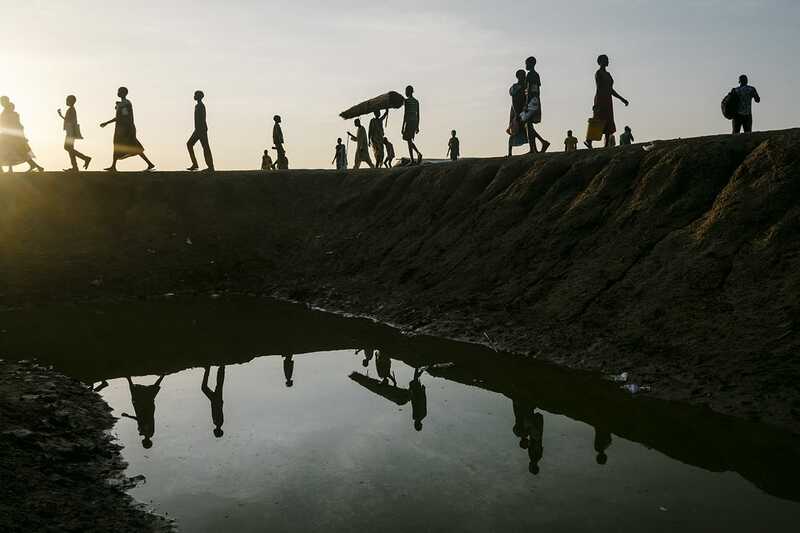 Nyechoul War walked for five hours on uncertain roads in an attempt to access a food distribution in Mankien, Unity State in South Sudan. She says her husband was killed in an ambush last year. This woman arrived a week ago at a hospital managed by Doctors Without Borders (MSF). 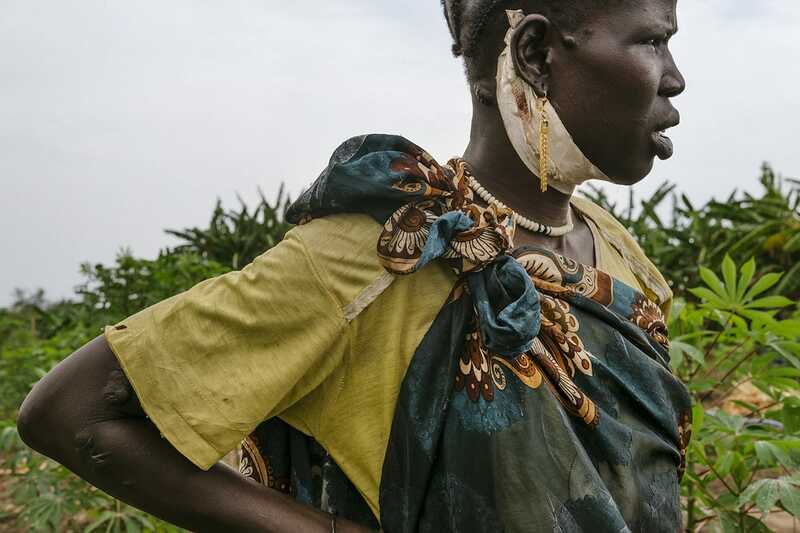 Her child suffers from malnutrition and diarrhea. 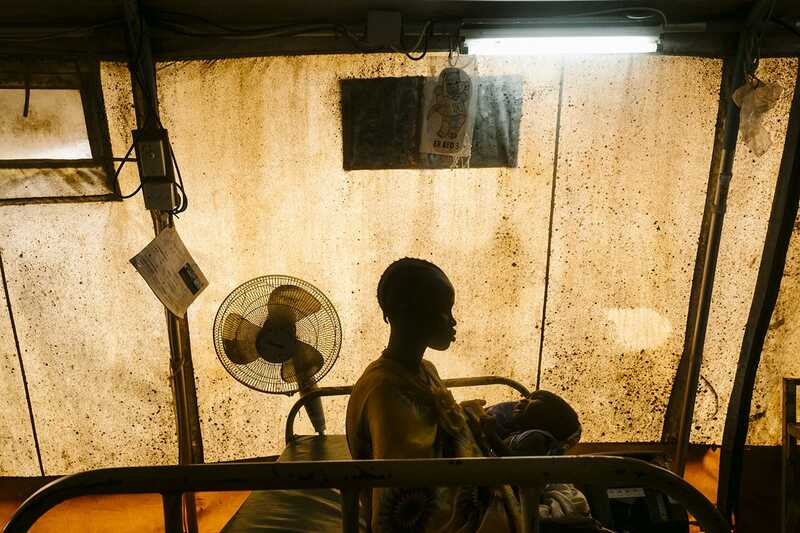 According to MSF, 70% of patients admitted at the hospital are children. Women wait for vouchers giving them access to food distribution. A majority of women in this camp are widowed or get no news from their husbands away in combat. 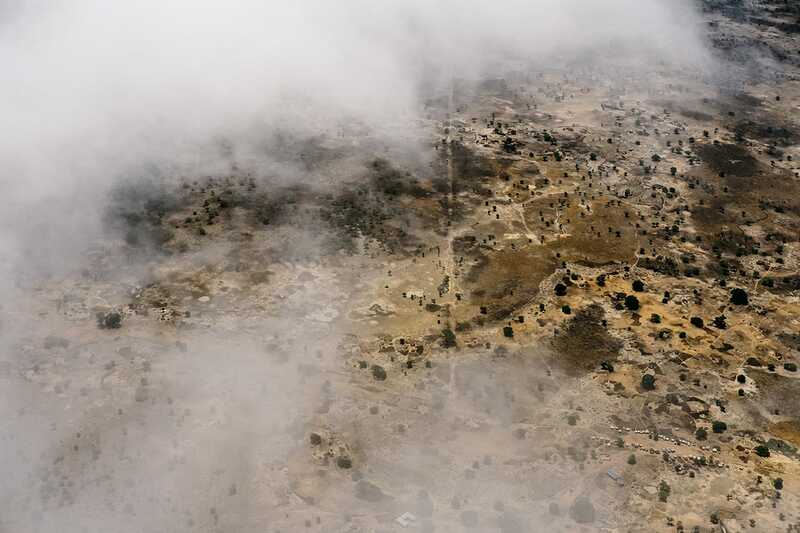 Life in the fog of war in Bentiu. 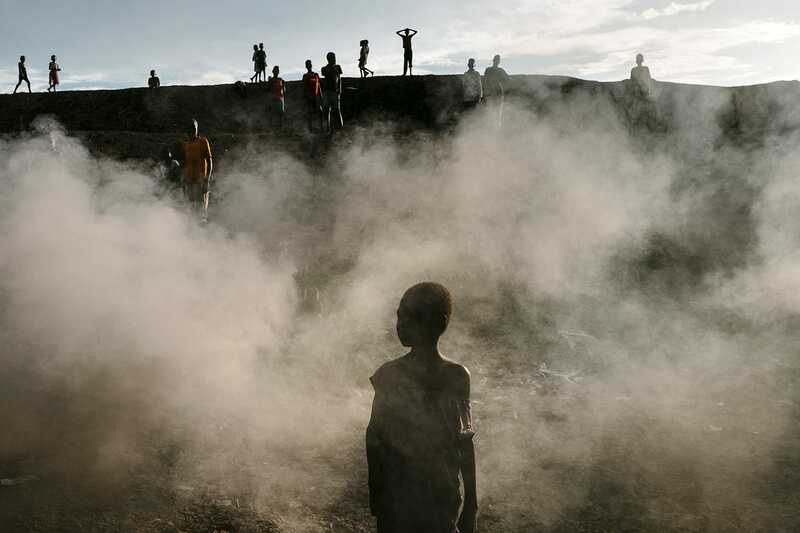 Children are burning truck tires to retrieve the wire. Waiting for a food distribution in Bentiu. Only registered individuals are entitled to distribution. Those who receive rations share it with their family, making food intake even thinner. 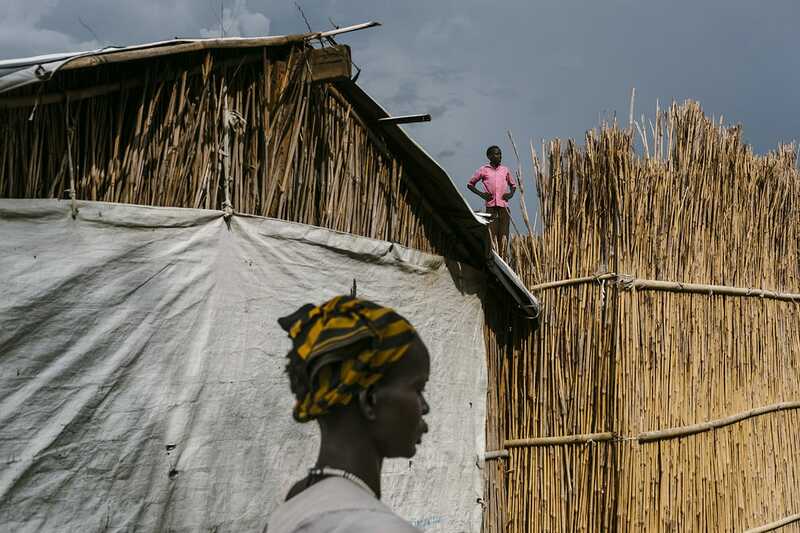 The shelters in the camp of Bentiu should be temporary, but some families have been living there for more than three years. Though the UN has a peacekeeping force on the ground, it has difficulty intervening to provide some stability. On the one hand, the mission is under-equipped and on the other hand, the government isn’t proving to be very collaborative. That said, recent statements by the President give us some hope. The humanitarian community is also facing challenges. For a long time, in an effort to replenish its coffers, the national regime charged a tax to any organizations wishing to work in the country. It took a lot of pressure to have it lifted. 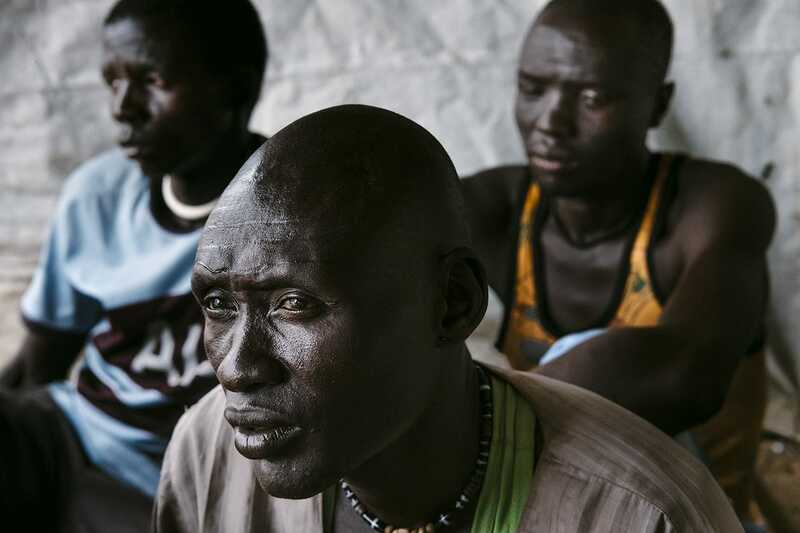 And since 2013, 85 humanitarian workers have been killed in South Sudan. It’s a difficult context in which to work. But humanitarian agencies do. The seven members of the Humanitarian Coalition are present, in South Sudan and in countries hosting refugees. They provide emergency assistance, including food, clean water, sanitation, shelter, safe spaces for children and women, and medical assistance. Since the beginning of the current crisis, media coverage has been rather poor. We were looking for a way of bringing Canadians to care about the situation. That’s why we support the work of Renaud Philippe. Visually, the challenge is: how to show people in need while reflecting their human dignity, their courage and avoiding exploiting their misery. 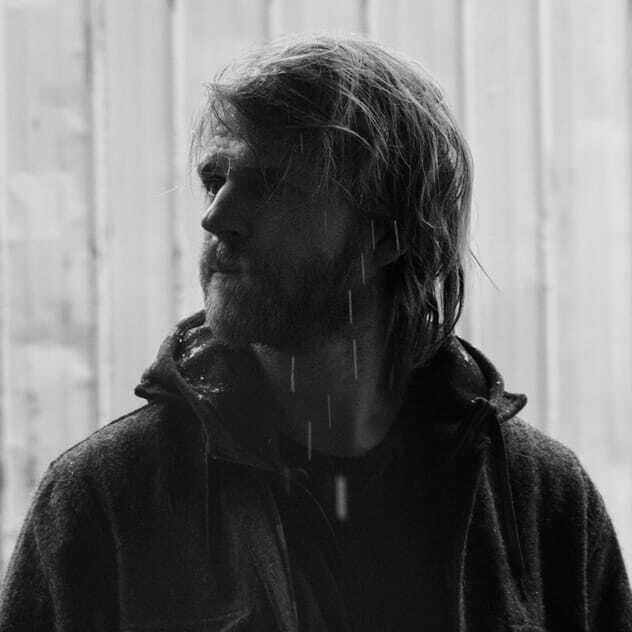 Renaud’s photos are beautifully sensitive. People are not transformed into objects. 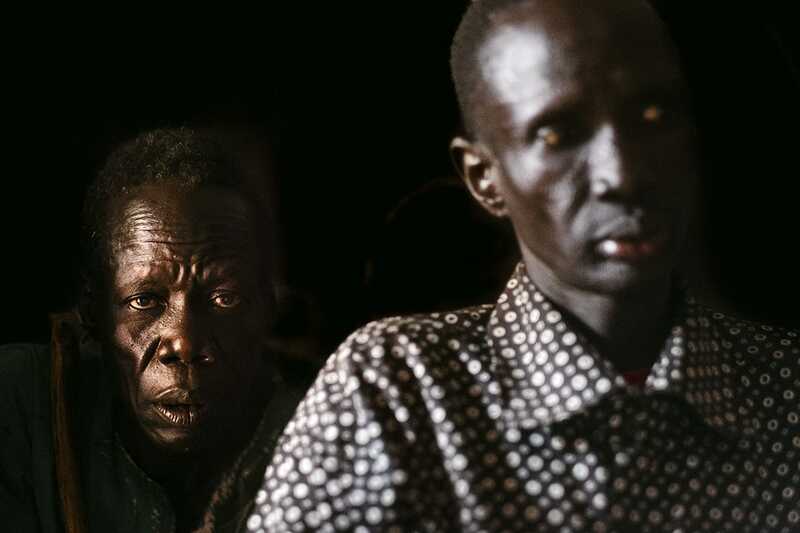 They’re treated as subjects, which helps the public identify with the people of South Sudan. They also show that life goes on. Take the image of young people playing soccer, for instance. Renaud’s report reflects the needs, the suffering, but also the solutions, and the spirit of solidarity that gives us hope. Renaud Philippe grew up and lives in Quebec City, Canada. 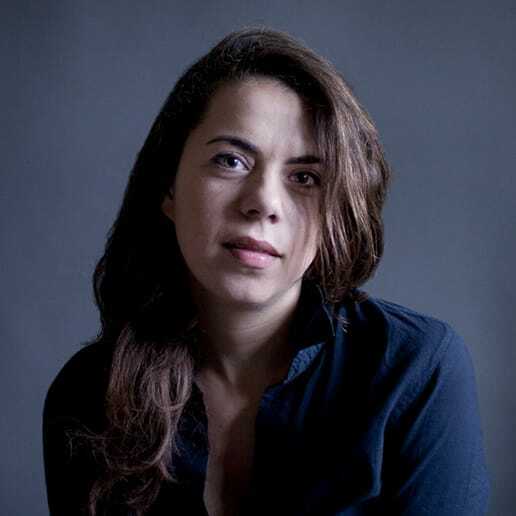 An independent photojournalist and member of the Quebec collective KAHEM, he focuses on exclusion and exile. He is moved by the drama experienced by those who had to leave everything, victims of war, injustice and natural disasters.